in words, pictures, art and film. 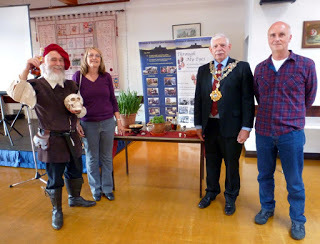 On Saturday morning, November 10th, as part of Pembroke’s week of Commemoration, Pembroke&Monkton Local History Society held an event in Pembroke Town Hall. 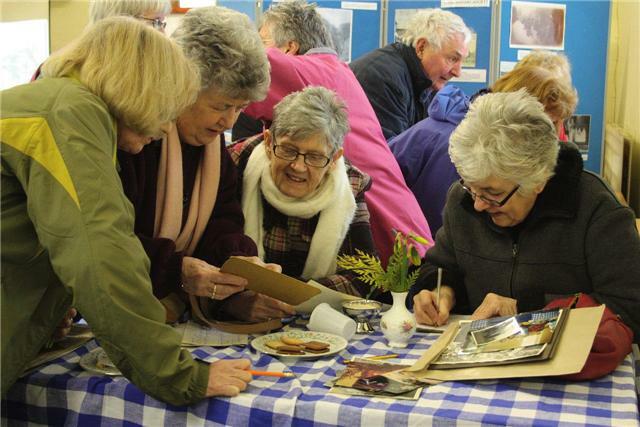 It was extremely well supported by the community with over 100 attending. 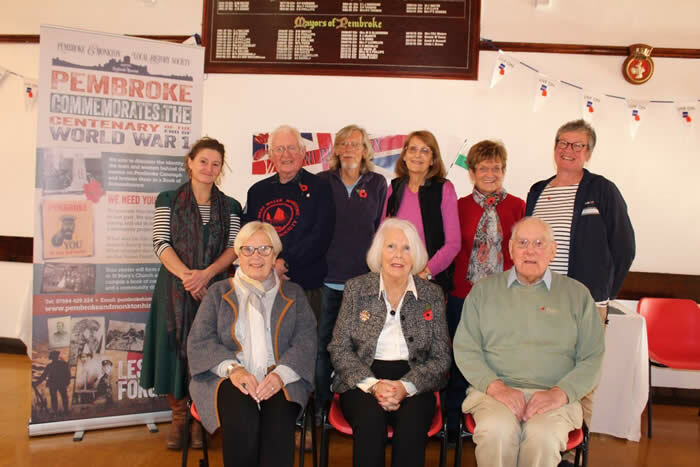 Proceedings began with an introduction by Linda Asman, Chairman, who gave an overview of the Society’s Heritage Lottery funded project: ‘Pembroke Commemorates the Centery of end of WW1 – in Words, Pictures, Art and Film’. 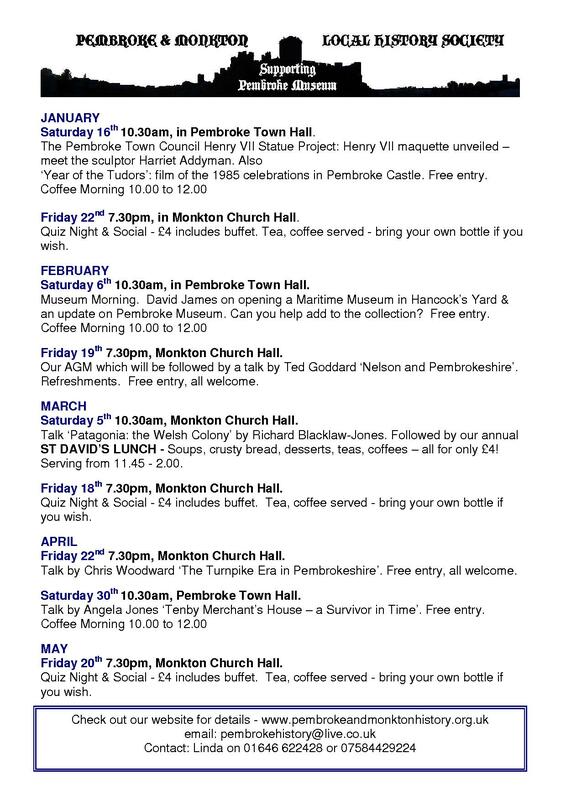 This is a wide ranging project which began with a desire to research the identities of the Fallen whose names are inscribed on Pembroke Cenotaph and War Memorials. 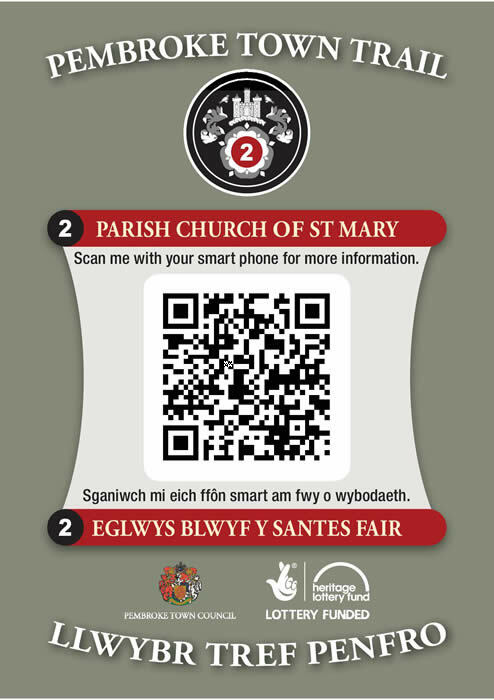 This will result in a Book of Remembrance, copies to be placed in each of our Parish Churches. 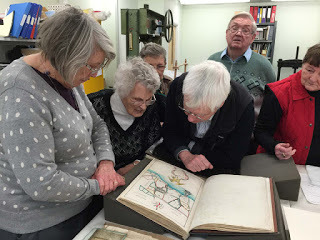 Another line of research was the effect of WW1 on Pembroke and district to result in another book ‘Pembroke Commemorates’ which will be published next year. 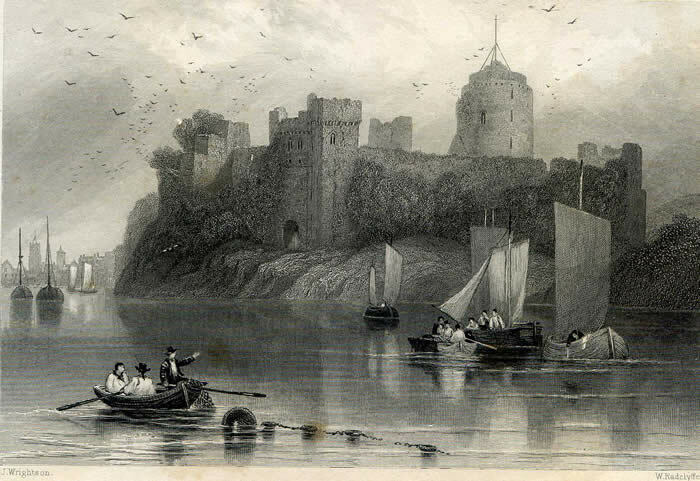 An exhibition can be seen in St Mary’s Church. 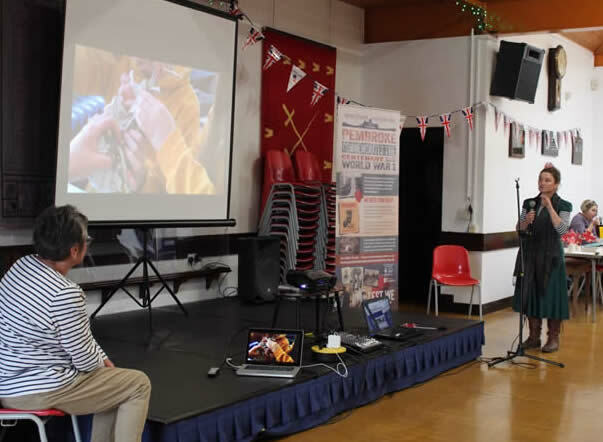 Pauline Le Britton then described the school’s project. 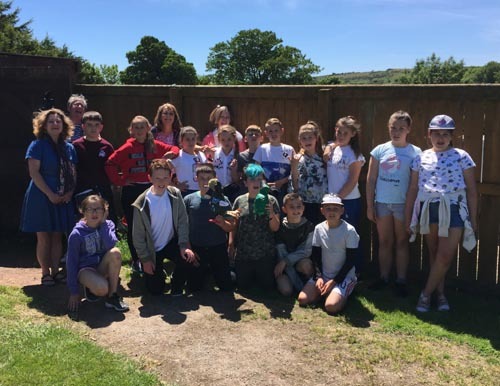 In order to make the project more accessible to children, she had engaged them in an art work to celebrate the lives of some of the soldiers named on Pembroke Cenotaph. 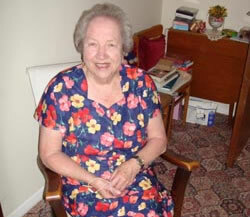 The whole process has been filmed by Sharron Harris and an extract was shown. 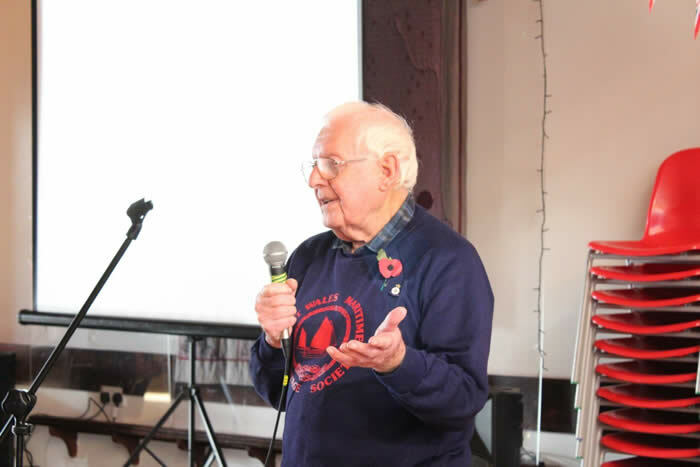 WW1 was effectively brought to our own doorstep with U-boat action off our shores and David James next spoke about his mission to highlight this, describing his campaign to restore the memorial in Angle Churchyard dedicated to the victims of a Japanese merchant ship Hirano Maru. 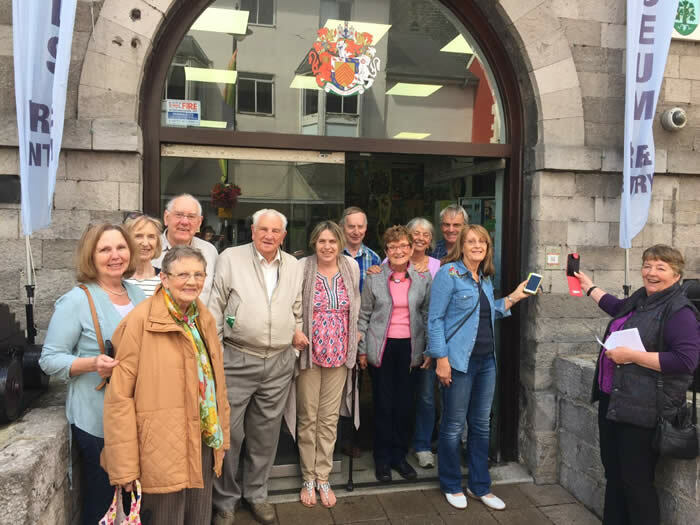 In concluding, Linda Asman stated her opinion that, when commemorating the Fallen, it is important to remember those who, at the present time, have returned from conflict needing help. To this end, the Society has supported the ‘There but not There Tommy’ campaign, raising money to erect a 6 foot silhouette outside St Mary’s Church. 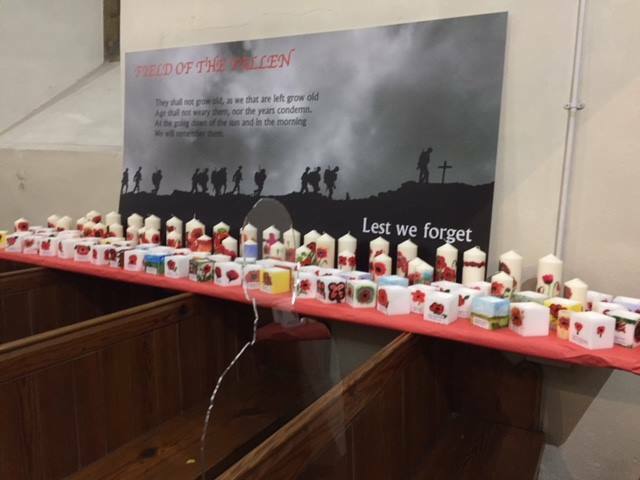 Inside the Church are 5 transparent Tommys sitting in the pews which accompany a beautiful exhibition of candles entitled ‘Field of the Fallen’: each candle painted with a poppy and each bearing the name of one of Pembroke’s WW1 Fallen Heroes. 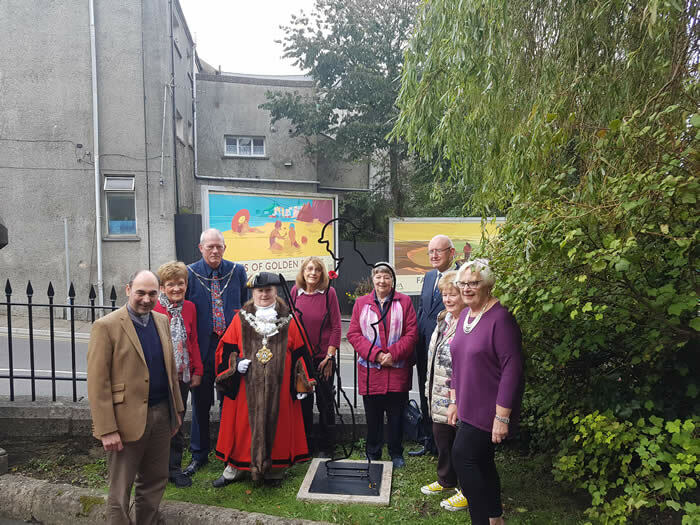 The Society worked with the VC Gallery, Pembroke Dock, to create this art installation and, in support of this excellent charity, a raffle was held which raised £115. 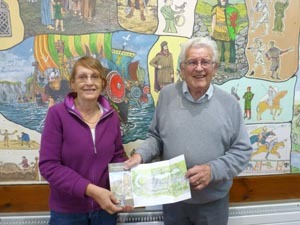 The HLF grant just received is our 3rd successful application to the Heritage Lottery. 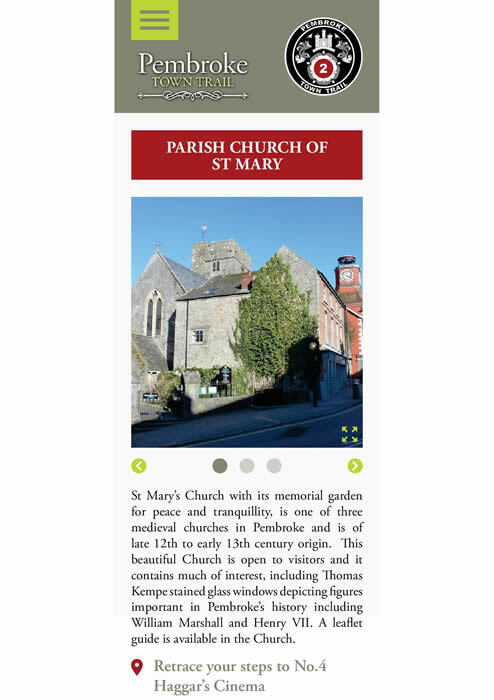 Thanks to a 'Sharing Your Heritage' grant from the HLF,last year we were able to create a Digital Town Trail. WE ARE NOW A PUBLISHING COMPANY! Through My Eyes sold well! 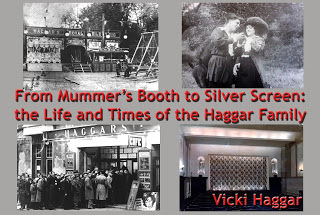 So we invested the money in the publication of another local publication From Mummer's Booth to Silver Screen: the Life and Times of the Haggar Family by Vicki Haggar. 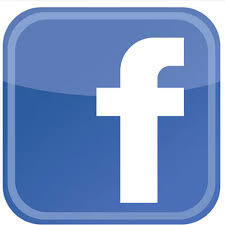 It was always the intention to use profits recouped from our digital storybook - now we have achieved it. One grant from the HLF has gone a long way!